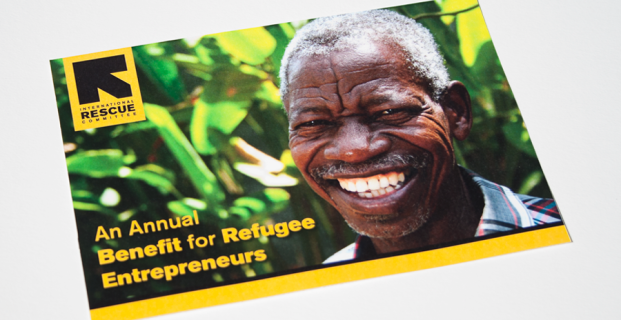 The International Rescue Committee runs a unique program called MicroEnterprise which helps refugee entrepreneurs start their own small business. 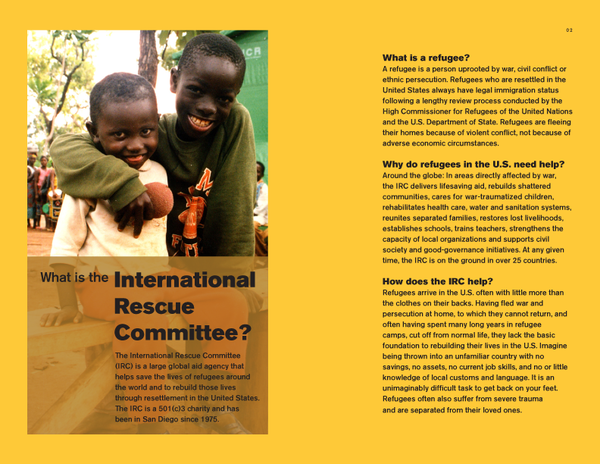 With limited resources, clearly communicate business’ information to people in the San Diego community. 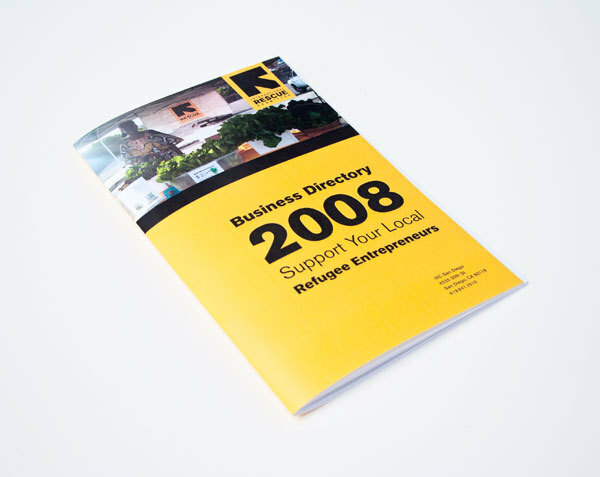 Efficiently designed a business directory using visual hierarchy and the established brand identity of the Committee. 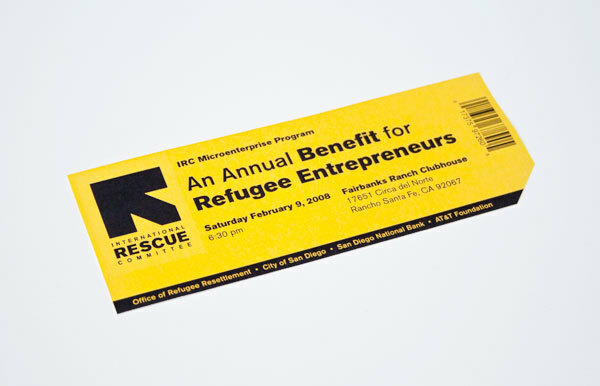 Increased awareness of the refugee businesses in the community. Converted many readers into patrons of these businesses. 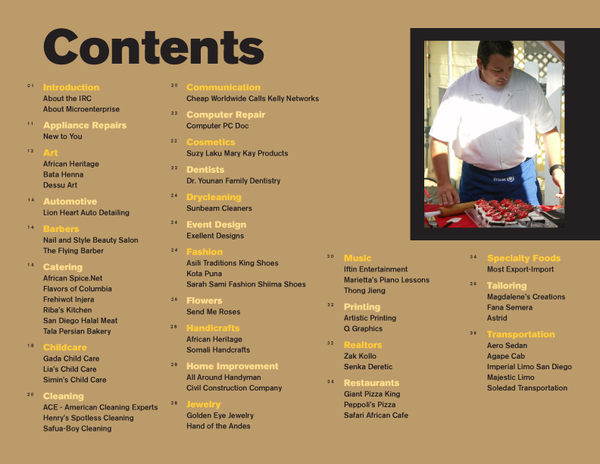 The success of the directory led to the request of my design services for an upcoming fundraiser.